Ready to start making your dream vacation a reality? Give us a call and we’ll give you the world! We are also available by email if you prefer . We will give you all the information you need to make the right decisions for your adventure. Our expert travel agents are excited to help you with your all-inclusive vacation, cruise vacation, honeymoon, family vacation, scuba trip, snorkel adventure or any other travel plans you’re interested in. Whether you are going to Mexico, Europe, Caribbean, Las Vegas, Mom’s or around the world; we are here to help you. We will guide you through the process of picking destinations, airlines, hotels, rental cars, vacation packages and even give tips on what to see and how to see it while you’re there. Or if you would rather feel free to use one of our secure links to check rates or book your trip. These are some of our most trusted/preferred tour operators like Apple Vacations or Funjet Vacations and cruise lines like Carnival or Royal Caribbean. We also have Amstar, a trusted tour operator that sets up tours and transfers in several Mexico and Caribbean destinations. Apple Vacations is offering great deals on air and hotel vacation packages to the Caribbean, Mexico, Bahamas, Cancun, Punta Cana, Hawaii, & Europe. Carnival Cruise Lines has earned a reputation as the “Fun Ships” with worldwide cruises. For more than 45 years, Cosmos has created exceptionally affordable travel packages for the savvy, value-minded traveler. And with the nearly 90 journeys throughout the United States, Canada and Europe, there are so many opportunities for you to explore the world. 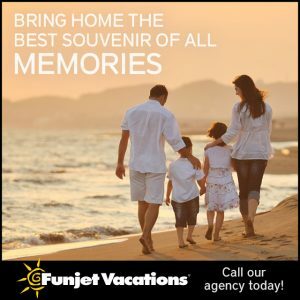 Funjet Vacations offers travel deals to your favorite destinations such as Mexico, Jamaica, Hawaii, the Caribbean, Las Vegas and more. Whether you’re planning ahead or taking a last-minute trip, we have exclusive vacation deals you don’t want to miss. 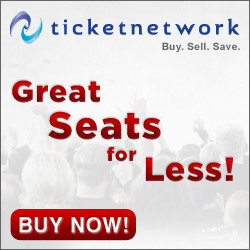 Travel Impressions – book your dream vacation packages online. Worldwide destinations available. Amstar offers Destination services such as deep sea fishing, scuba, snorkeling, zip line, weddings and more. They also offer Airport Shuttles, Private and Deluxe Transportation. These services are available in Mexico, Dominican Republic, Jamaica, Costa Rica and Hawaii. Be sure and book in advance by clicking on “Take me There” for the best deals! Avalon Waterways has unveiled new ships, amenities and experiences that set the standard in river cruising. Our views are panoramic and spaces large and inviting; comfort is king and dining is for your taste. Our itineraries in Europe, China, Egypt and the Galapagos Islands are legendary. Globus is the worldwide leader in escorted travel around the globe. An unrivaled selection of 250 vacations to over 70 countries on six continents, including religious and family vacations. 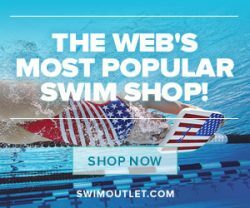 Just click on the banners below and start shopping! Contact us to start planning your vacation today! Please feel free to leave a message after hours as we do check and will get back to you!